Here we have two vessels from a study we carried out with one of our customers. 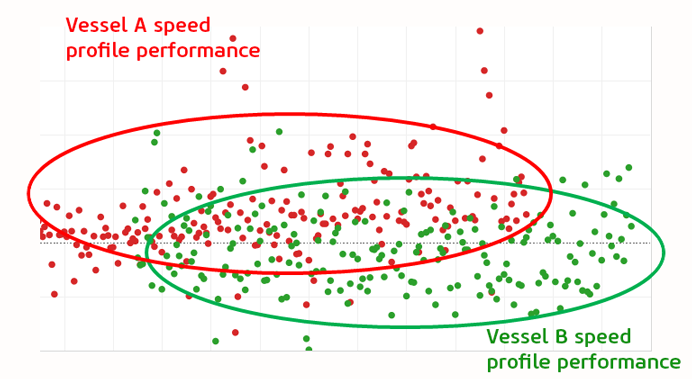 Each dot on the graph represents one leg that has been operated by the vessel and how much extra energy was used because of the speed profile and engine combinations. 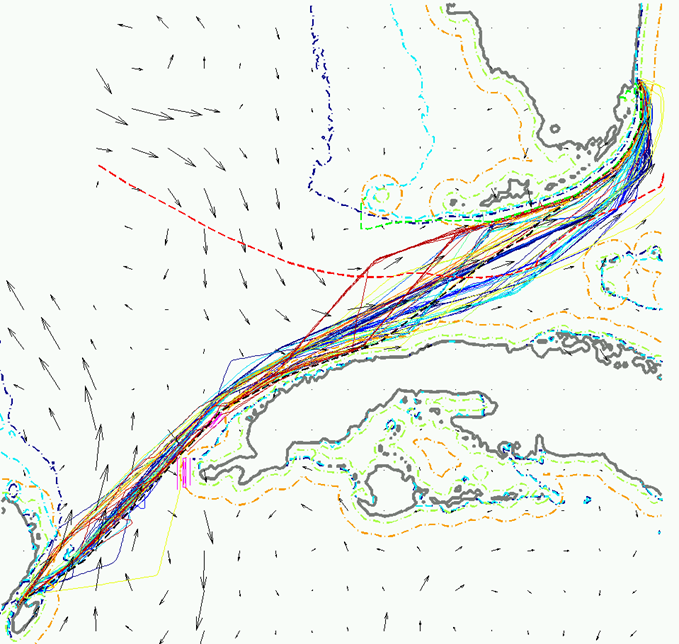 Both vessels operated on comparable schedules under similar conditions. Observation/recommendation: Simply by using our in-depth reporting analysis, and performing follow-ups on tank levels through a regular report that aggregates data on the amount of fuel onboard, the company could easily track fuel levels. 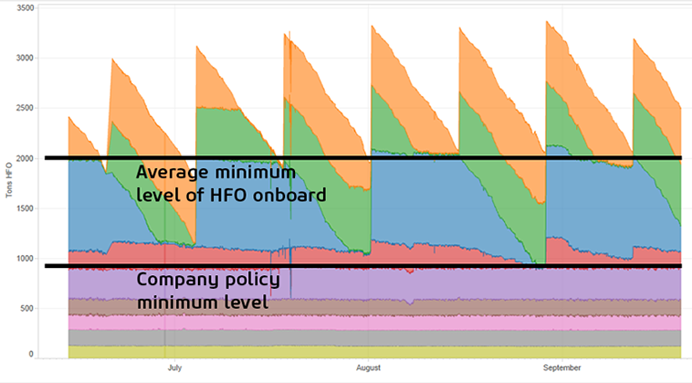 Our customer was able to bring down the levels of HFO closer to the company’s policy; showcasing how bringing this high-level of sophisticated data analytics can help to improve overall operations when these problems become visible. Quick results: Data analytics and reporting is an inexpensive way to find and realize quick wins in operational efficiency. In many cases, customers see a change within a matter of weeks after we detect the problem and help them improve best practices. Sustainable benefits: Constant follow-up enabled by regular reporting and analytics is a key factor in maintaining the achieved benefits of all improvement actions. Improved understanding of operations: Detailed analysis and modelling enables separating environmental effects from operational effects and understanding where the focus of improvement action is needed. Without data gathering, analyses and constant reporting, it can be very difficult to find the case and effect from complex onboard systems. 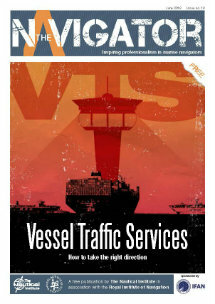 Eniram offers our customers these powerful tools to get at the most minute of details and unravel the mystery, bring better transparency, efficiency and operational performance to a single vessel or an entire fleet. Henrik Lano is the director of analytics at Eniram and a former management consultant, and has broad experience from various industries in transforming data and analytics into operational insight and improvements. He is responsible for developing our analytics services to drive energy efficiency and savings for our customers. He has a M.Sc. degree in Industrial Engineering and Management from Helsinki University of Technology.